After my second cup of coffee this morning I got pissed off at the Internet because it launched another fringe right-wing group - QAnon - into the mainstream. I'm not going to walk down that road, where I'm conflicted over the benefits of the Internet, however. Another day perhaps. 1) QAnon began with “Q,” a persona claiming to be someone within the government, promising to expose how dark forces are working against Trump and his administration. 2) The cult surfaced October 2017 when it finally jumped to the mainstream in the form of shirts and signs that were prominently visible at a Trump campaign rally in Tampa, FL. 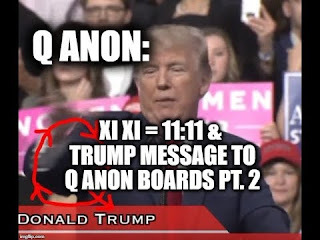 3) “QAnon,” or “The Storm,” looks for validation, especially in the number 17, which coincides with where Q is in the alphabet. Pretty clever huh? 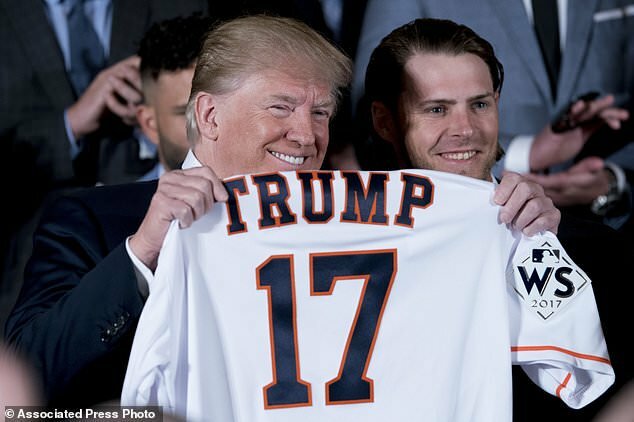 When Trump recently changed his chant of "13 Angry Democrats" working against him to "17 Angry Democrats" the cult was thrilled for what they interrupted as a sign coming from their leader. Another example; the University of Alabama national champion football team gave Trump a jersey with the number 17 on it when they visited the White House. 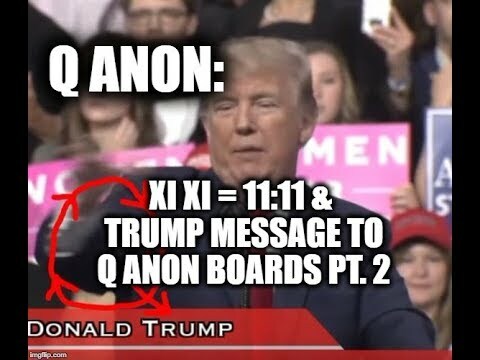 4) Some say Trump is Q. The New York Times reported that some cult members just believe it's a symbol. 5) Core beliefs include massive media conspiracies (what else?) and the so-called "deep state" that is trying to take Trump down. But the crowd jewel of their conspiracy theories is that famous celebrities, names in business, and liberal politicians are running a worldwide pedophilia ring that dates back to the Reagan era! It was a cult member who ran into a pizza parlor last year with a semi-automatic rifle and terrified everyone there because he was looking for a concealed cellar where Hillary Clinton and other pedophiles were supposed to be having secret meetings. The most unsettling part of this growing group of right-wing extremist nuts, is they are appearing in greater numbers at Trump's rallies lately. Just look at the last three in Pennsylvania, Ohio, and Florida. The Q crowd is feeling empowered. They follow Trump from rally-to-ally, fully expecting to see subtle signs from him that confirms their whacked theories. You know another thing that's scary about the Q disciples dressed up in outlandish costumes? They barely stand out in a Trump rally!